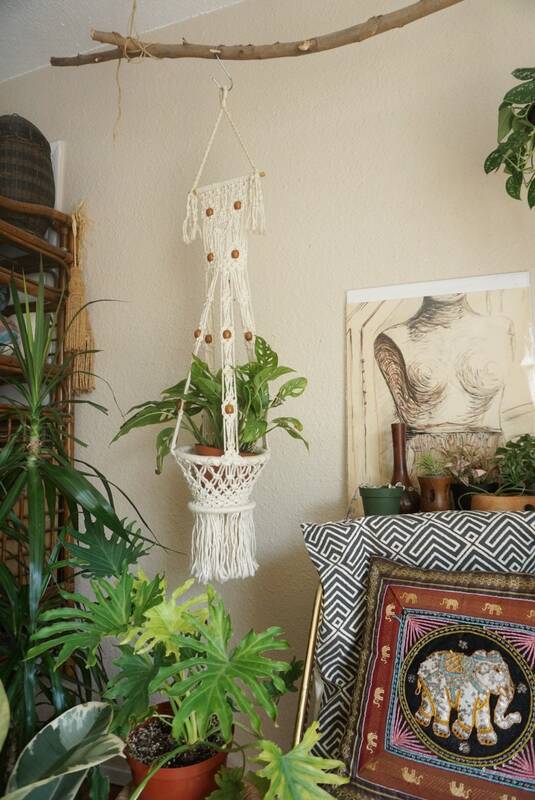 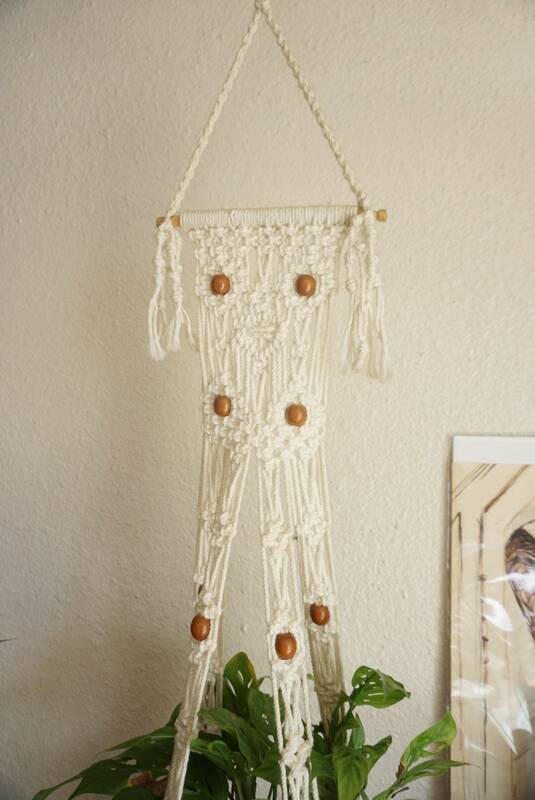 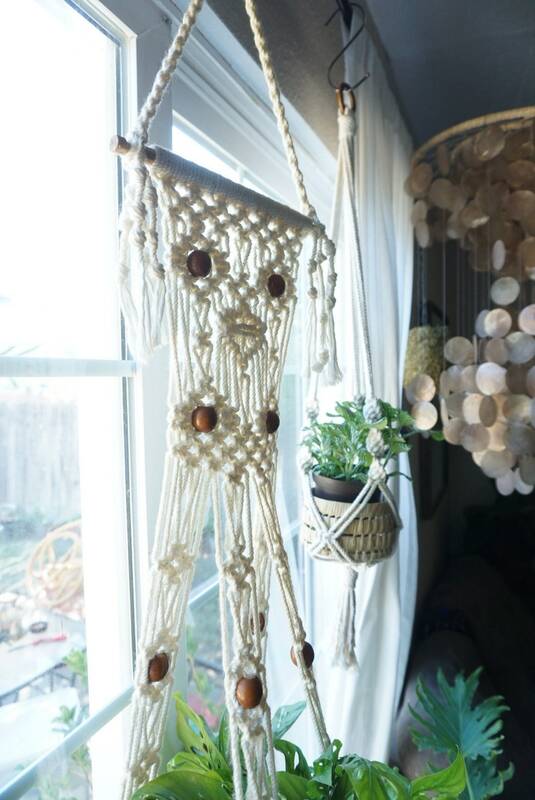 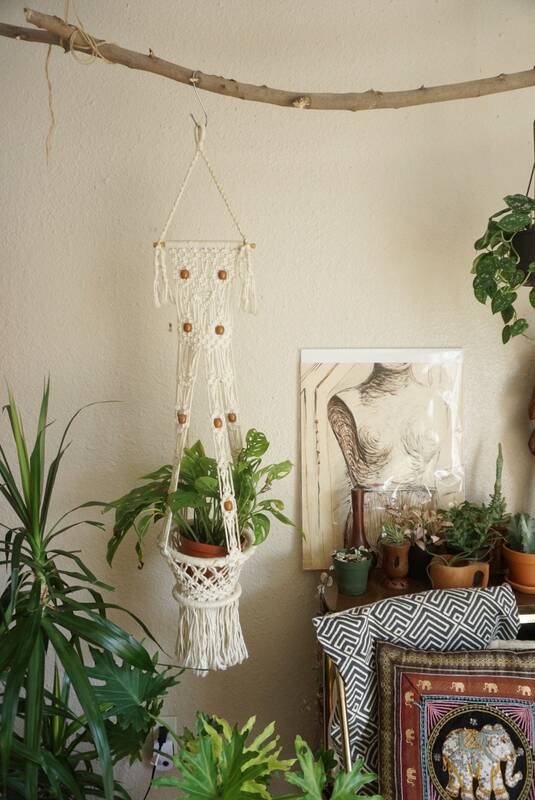 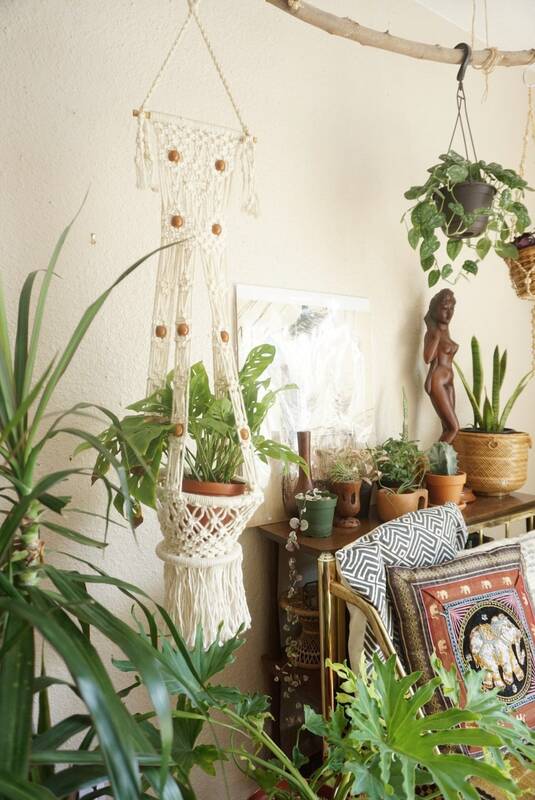 Hanging macrame plant hanger with light brown beads. 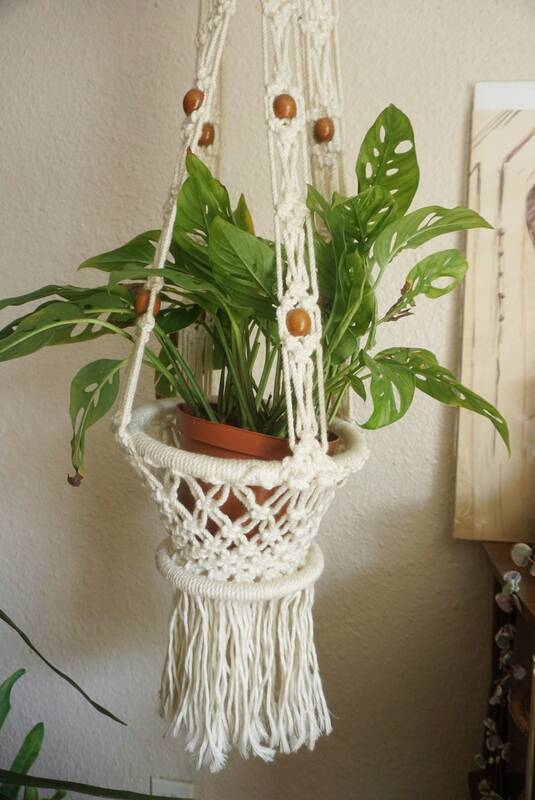 Lovely knotted design with flowing fringe. 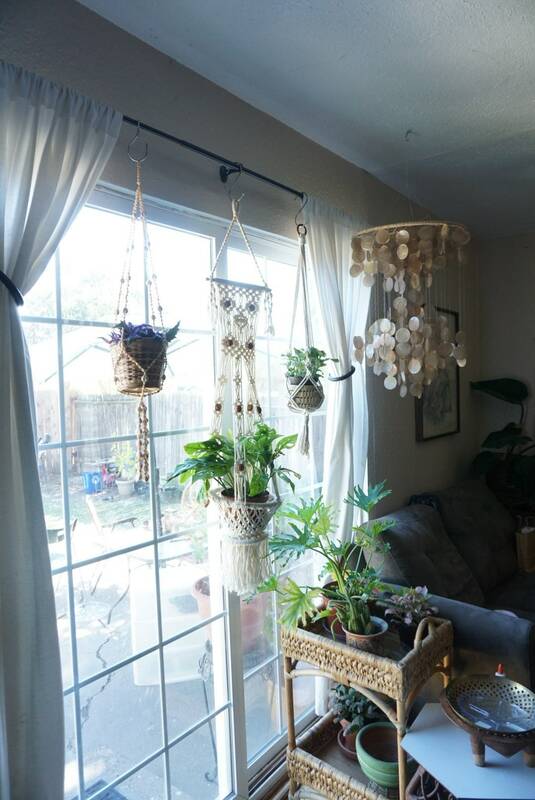 Some lightly yellowed spots but overall clean.